Calcutta Club was established in 1907, and its first President was H. H. The Maharaja of Cooch Behar, Sir Nripendra Narayan. It is a social club located on Lower Circular Road in Calcutta, India. 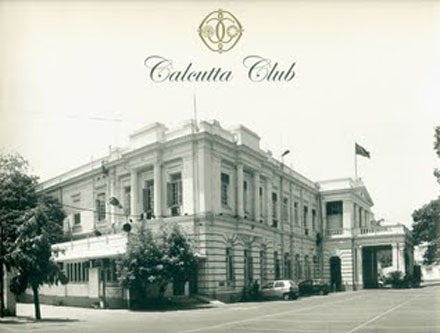 Over the last hundred years the Calcutta Club has carved out a unique niche in our social fabric. Conceived as a forum where the British and the Indians could meet as equals and understand each other better, the club soon surpassed these aims and became a true centre of bonhomie and warmth. This camaraderie is a hallmark of this institution. Although not the oldest private members club in the city, it is notable because it was formed at a time when the existing Bengal Club only admitted whites as members. Lord Minto, the Viceroy of India at the time, had wished to invite Rajen Mookerjee, founder of Martin & Co., to dine at the Bengal Club and, when the discriminatory policy was thus exposed, a decision was taken to form a club with a membership policy not dictated by race. The Calcutta Club remains a popular social hub for the wealthy in the city. The club, however, has historically restricted membership to men till very recent time. The Bengal Club was founded at Calcutta in 1827. When the Club was first conceived, it was christened the Calcutta United Service Club, at a meeting held in the Calcutta Town Hall. The Club was housed in a building in Esplanade West, erected in 1813. It moved to Tank Square around 1830 and subsequently purchased the house in Chowringhee Road formerly occupied by Thomas Babington Macaulay. The Bengal Club is still in existence at this site. This is a whole-plate albumen print of a photograph taken by Francis Frith between 1850 and 1854. The Bengal Club was founded at Calcutta in 1827. At the time this image was produced the club was housed in Gordon’s Buildings in the middle of Esplanade Row. It moved to Tank Square around 1830 and subsequently purchased the house in Chowringhee Road formerly occupied by Thomas Babington Macaulay. The Bengal Club is still in existence at this site. When the Bengal Club was first conceived in the winter of 1826-7, it was christened the Calcutta United Service Club, at a meeting held in the Calcutta Town Hall. It was presided over by Lt Col the Hon J. Finch, who was later to become the first President of the Club. The Club was housed in a building in Esplanade West, erected in 1813. Fund raising was through the then popular method of lottery. চৌরঙ্গি রোডে বারোয়ারি দিঘী, এবং ম্যাকলে সাহেবের বাড়ি, c১৮৩৩? The General’s Tank was one of the three large artificial reservoirs in the Chowringhee district of Calcutta. It was just south of the junction with Park Street. 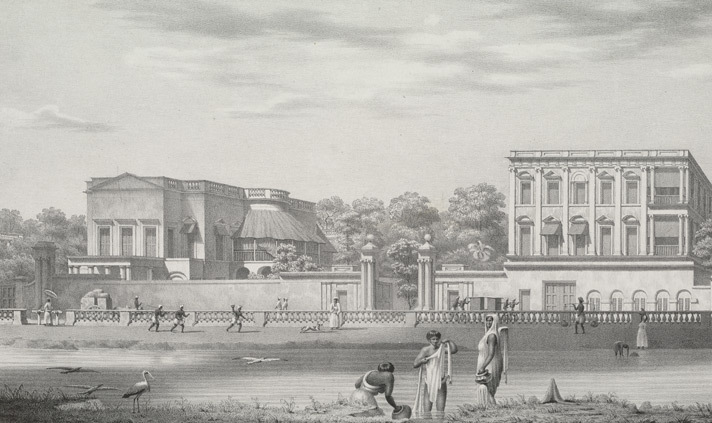 This print also shows the house of Thomas Babington Macauley, who was a Law Member of the Supreme Council of India, and worked on the reorganisation of the Indian legal system necessitated by the New India Act of 1834. He lived at number 33, Chowringhee Road, from 1834 to 1838. Thereafter the building became the headquarters of the Bengal Club. 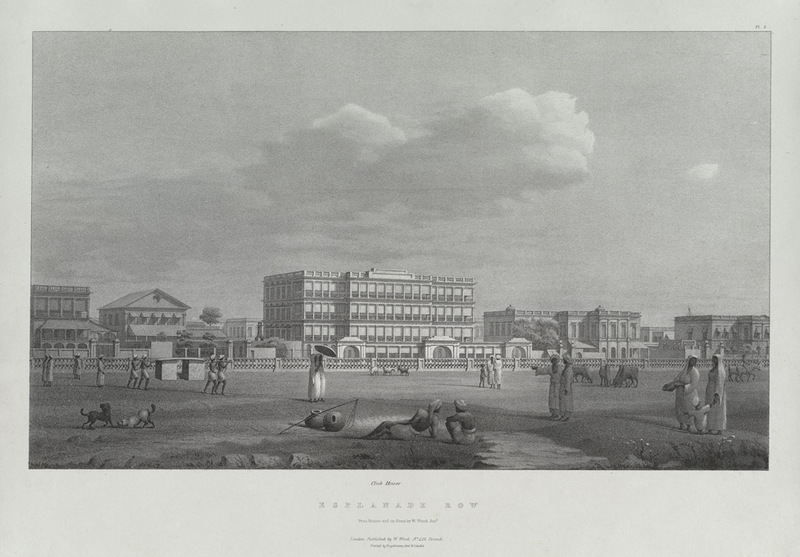 This lithograph derives from plate 16 from ‘Views of Calcutta’ –an album of paintings by William Wood.